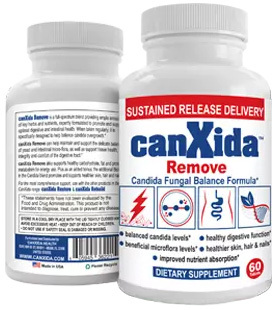 Candida Case Studies: Meet My Father - YeastInfection.Org by Eric Bakker N.D.
August 1, 2013 by Eric Bakker N.D.
My dad bought several candida books in the 1980’s after suffering from digestive problems for so many years. He had so many different examinations by bowel specialists (gastroenterologist) that I lost count. A family friend suggested he might have a bowel problem after watching him eat a whole packet of sweet biscuits one afternoon. But then again, dad did like his biscuits, ice cream and many cups of coffee with several sugars. And he continued to like sweet foods right up until he died in 2004. His freezer was full of ice cream and I found several dozen cans of sweetened condensed milk in his pantry, right alongside of dozens of packets of cookies. His weight had ballooned up to over 250 pounds (about 125 kilograms) yet his height was about five feet eleven inches. His blood pressure was sky high at 190/110 and he would on the odd occasion take his blood pressure medications. Are You Working Towards Improving Your Bowel Function? 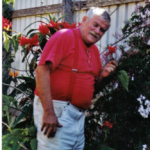 Dad died of a stroke at the age of 72. Like any son, I loved my dad, but I found that he had a total lack of regard to his diet. He simply ate whatever “tastes good” as he used to put it. When a person tells me that they like food that “tastes good,” I have found from experience that this generally means it is something sweet and you can count on the fact that it will be loaded with refined sugar. 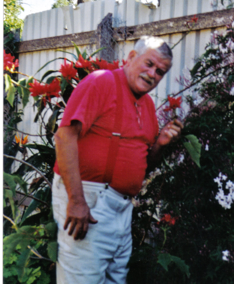 Dad continually had flatulence, bloating and complained of all manner of bowel problems like constipation and diarrhea. The foods he craved were always calling his name. And he responded by consuming them, in vast quantities. Dad was an emotional person who solved many problems by eating, and generally the foods he would consume were sweet by nature. I couldn’t help my own dad. After all, he was my dad and I learned over the years not to give health advice to friends or relations that was unsolicited. It most always falls on deaf ears. I only help those who come to me and ask for advice and actually pay me for it, There will usually be a commitment then. Do you have unresolved emotional issues? Are you eating for comfort? Think about it, is there a particular food or drink right now that is calling your name? If so, we need to address those issues. I have been diagnosed with scalp psoriasis without the scaly stuff, but horrible itchy dandruff. I took the test on your site to find I had serious candida. Do I follow the candida diet or psoriasis diet? I also have psoriasis in my ears. Regarding bread, is Ezekial bread ok since it is sprouted grains?